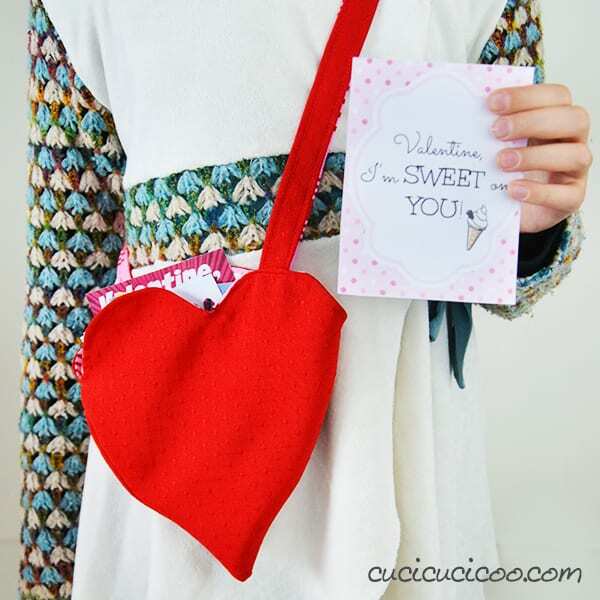 This year, your kids can carry their valentines in style with this sweet reversible heart-shaped Valentine Bag! 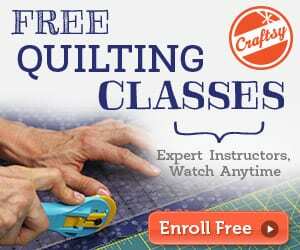 Download the FREE sewing pattern and sew it up in only 30 minutes. 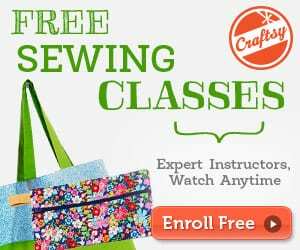 A perfect project for beginners or kids learning to sew. The bag is reversible, so you just need to flip it inside out for a totally new look! The hook-and-eye closure keeps it shut, and you can adjust the strap length to fit your child perfectly.